In addition all looked after children and children who have left care through special guardianship or an adoption or residence order will be eligible. 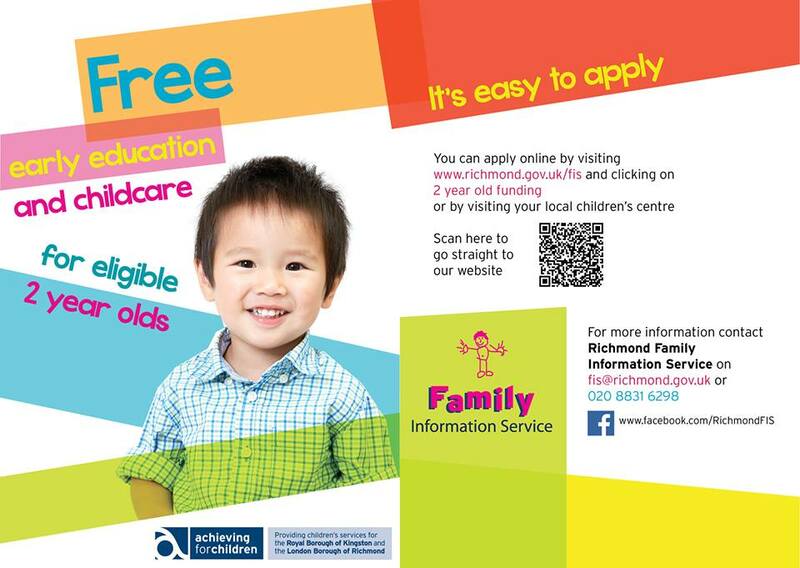 Eligible children will be able to have 15 hours of free early education and childcare a week during term times. This is a total of 570 hours which can be stretched over a whole year to help working families with their regular childcare costs. 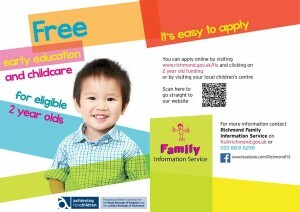 Once you have been offered a funded place your child will continue to receive funding even if your circumstances change. Children are eligible the term after their second birthday. For more information at to apply visit the Family Information Service.